From the multi award-winning picture book maker of A Bit Lost, Oh No, George! And Shh! We Have a Plan, comes a beautifully illustrated bedtime book, Goodnight Everyone. To celebrate the publication of Goodnight Everyone, we are delighted to be partnered with The Gro Company. The Gro Company was founded in 2000, the result of two parents battle to get their baby to sleep at night. Practically unheard of in the UK, an Austrian sister-in-law introduced them to baby sleep bags, and after the amazing 12 hour sleep as a result, Grobag was born. so safety and quality has always been important in what we do. WIN! 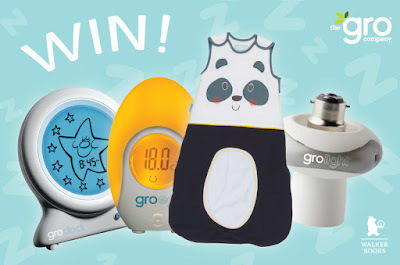 Enter our fantastic competition to win a glorious Gro Company bundle. We also have five signed copies of Goodnight Everyone to give to 5 lucky runners up! 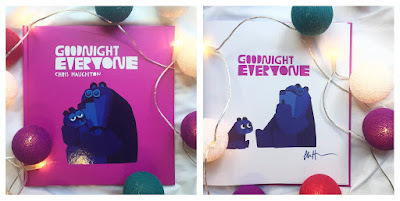 To enter email competitions@walker.co.uk with 'Goodnight Everyone' in the subject line, and leave your name and postal address in the email. Good luck!